Samuel and Jacob Kart Racing: Manchester and Buxton Kart Club - September - 2nd Place! 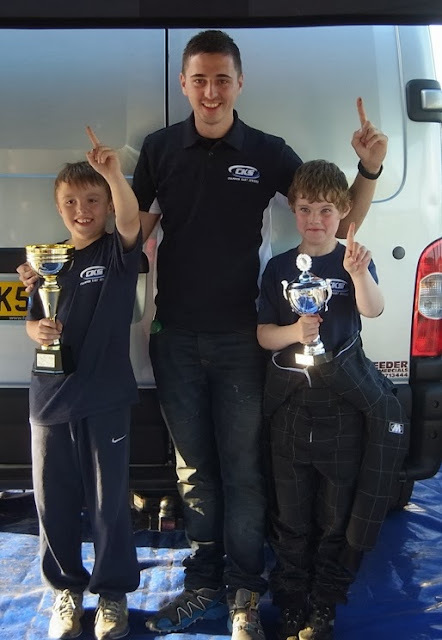 Manchester and Buxton Kart Club - September - 2nd Place! Another weekend, another race! 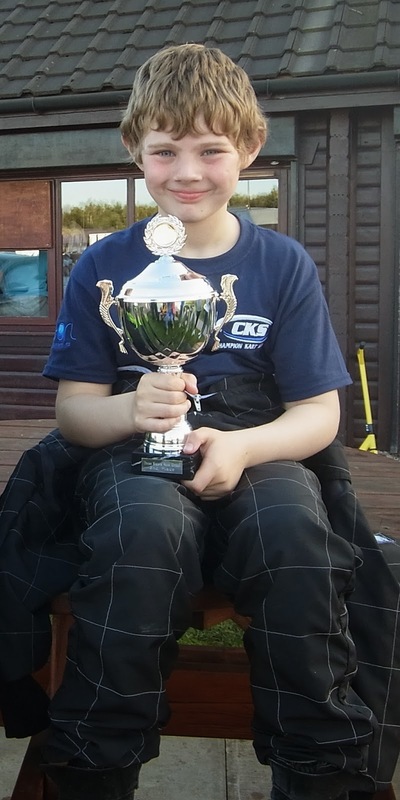 This time, round 8 for Manchester and Buxton Kart Club and the first round of the Autumn Series. After a disastrous rolling start for heat 1 when the IAME's and Honda's were red flagged and given a stern talking to by the Club, Samuel finished in 2nd place for the Honda's and a fraction of a second 0.03 behind the lead Honda. Heat 2 he finished 7th overall, right in the mix with the IAME's and again 2nd Honda, matching the time set by the lead Honda. Heat 3 he went across the line as the third Honda - 0.07 seconds behind second place. The Honda's were split from the IAME's for the final and Samuel started in second place. There was a bit of a scuffle at the first corner and Samuel ended up dropping back to 5th place with what appeared to be a difficult and testing drive ahead to take the lost places back. By the time he crossed the start finish line for the second lap, he'd got himself into third position. The second place driver seemed to be too far ahead but Samuel just kept going and pushing forward until he caught up. From then until the 15th and final lap, he traded places 4 or 5 times per lap with driver number 43. And despite the very close wheel to wheel driving, neither of them made contact! Samuel never gave up and pushed and pushed and managed to hold off the other driver and claim second place as they went across the line - Samuel was just 0.1 seconds in front of number 43! And because he was pushing so hard, he set the fastest lap time of 48.35 seconds! Here he is with his trophy along with his new CKS t-shirt! Next race 28 September - IKR round 5! Jacob and His New Kart!